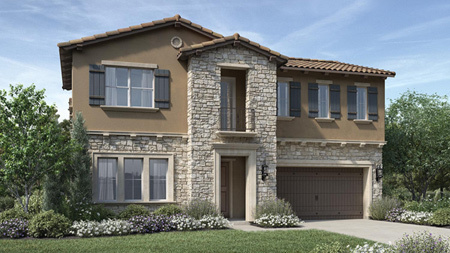 Opulent touches for an expansive, luxurious lifestyle. 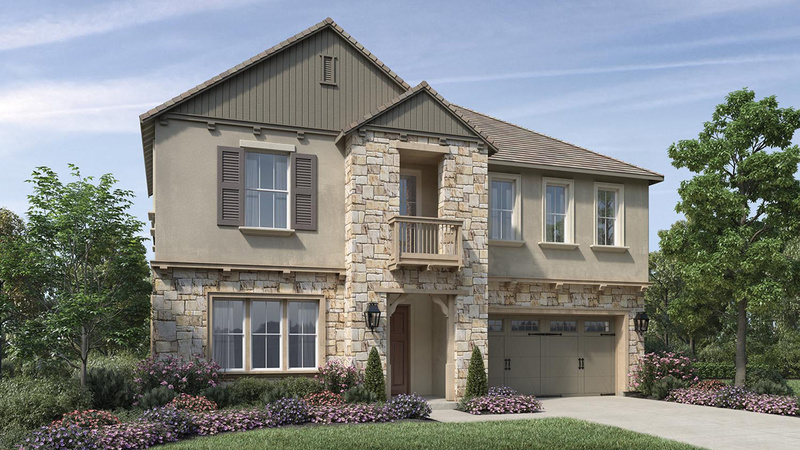 The Castleberry's magnificent covered entryway and foyer with elevated ceiling opens up to the grand sweep of dual curved staircases in a two-story formal dining room, adjacent to breathtaking views and access to a private courtyard. 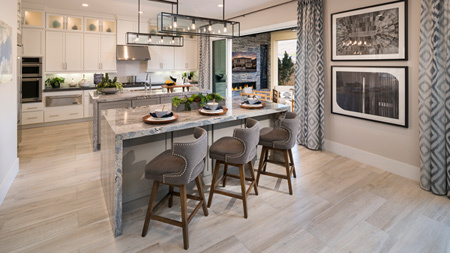 Just beyond the dining area are the expansive great room and stylishly well-equipped gourmet kitchen, featuring a generous butler's pantry, enormous center island with breakfast bar for casual dining, and ample counter and cabinet space. 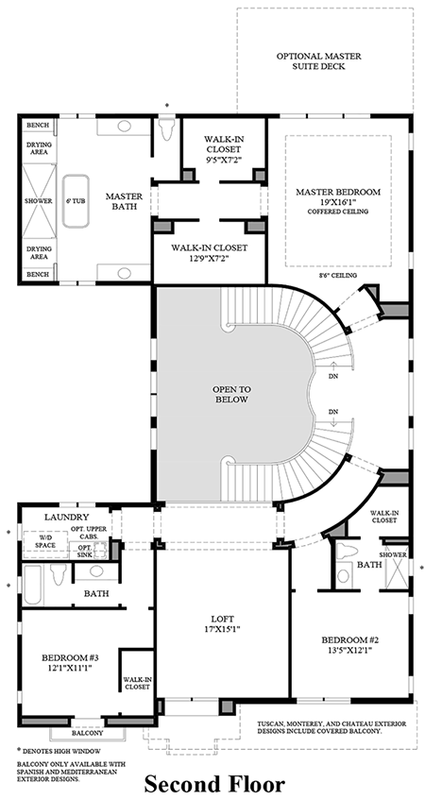 The magnificent master bedroom features two spacious walk-in closets and a luxurious master bath with dual vanities, large soaker tub, luxe shower with seat and drying area, and private water closet. 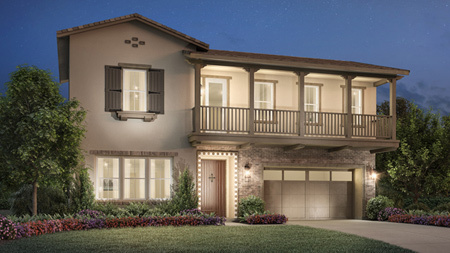 The secondary bedrooms each feature private baths and walk-in closets, and are adjacent to a versatile bonus room perfect for multi-generational entertaining. 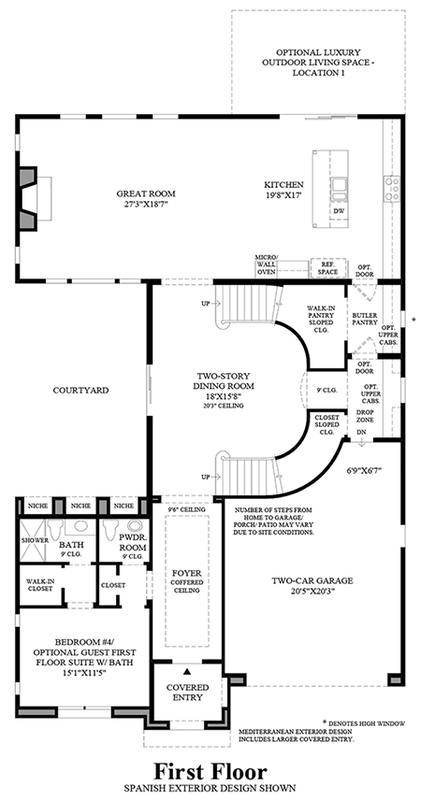 Additional highlights include a first floor bedroom with private bath and a powder room. 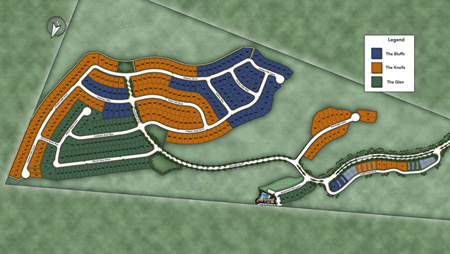 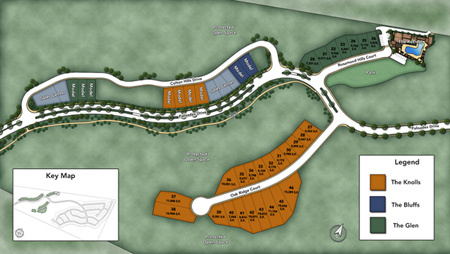 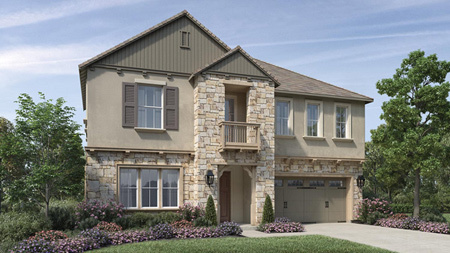 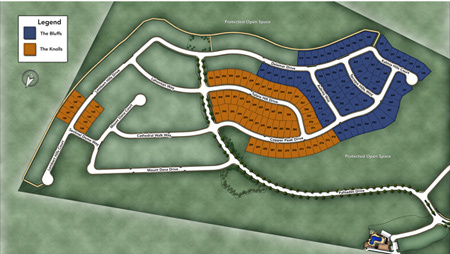 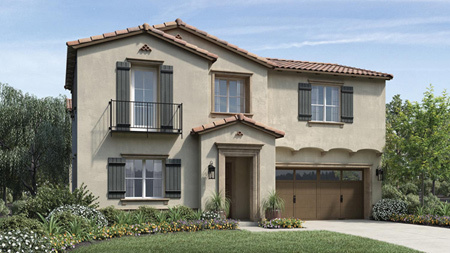 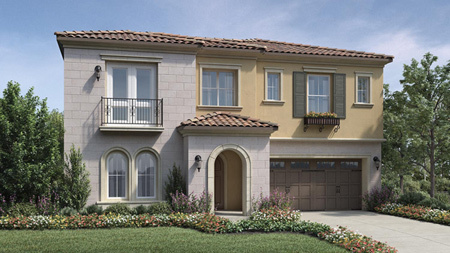 To receive more information about the Castleberry at Tassajara Hills, please call 844-790-5263.